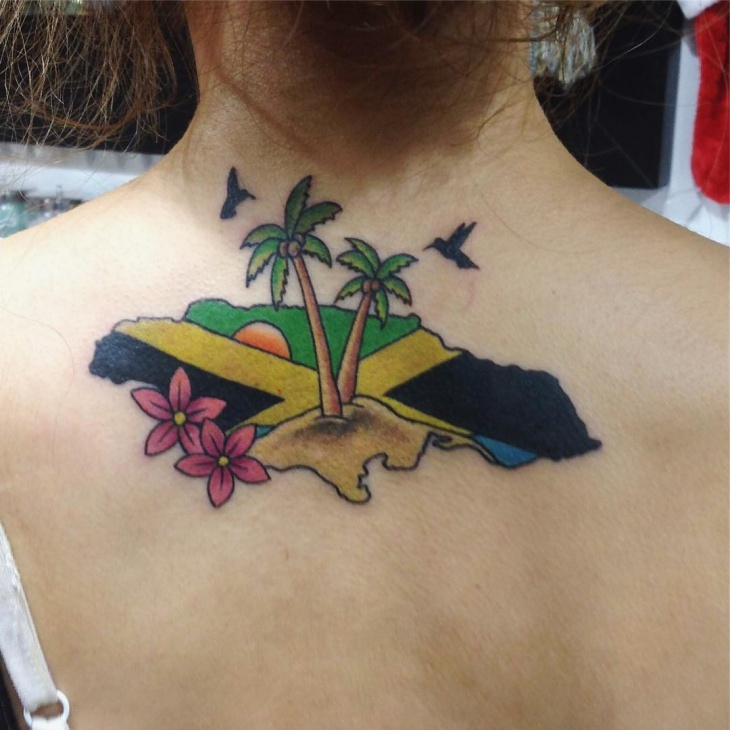 Although getting a tattoo was once taboo, they have become a way for people to express themselves. 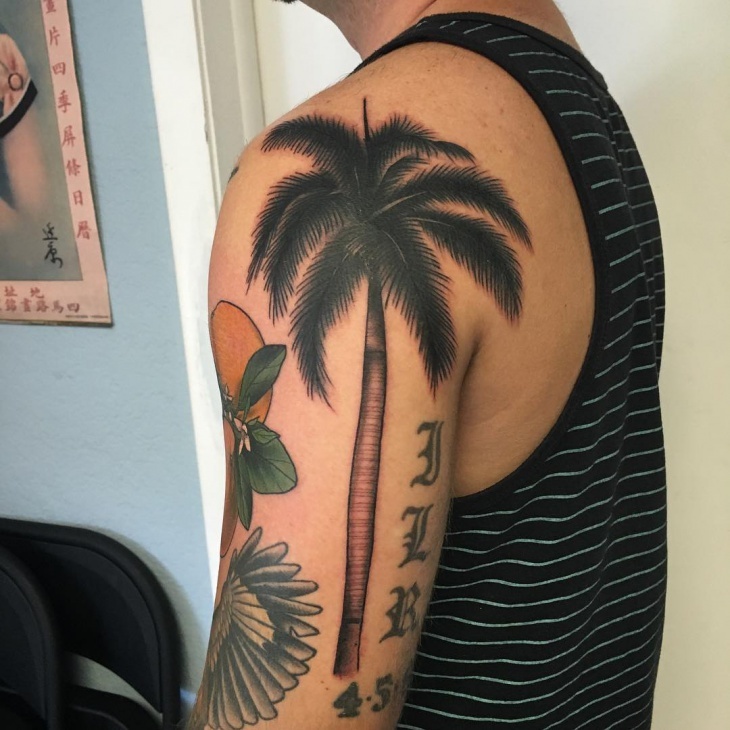 For those thinking of getting a tree design, a palm tree tattoo has a wide variety of meanings. 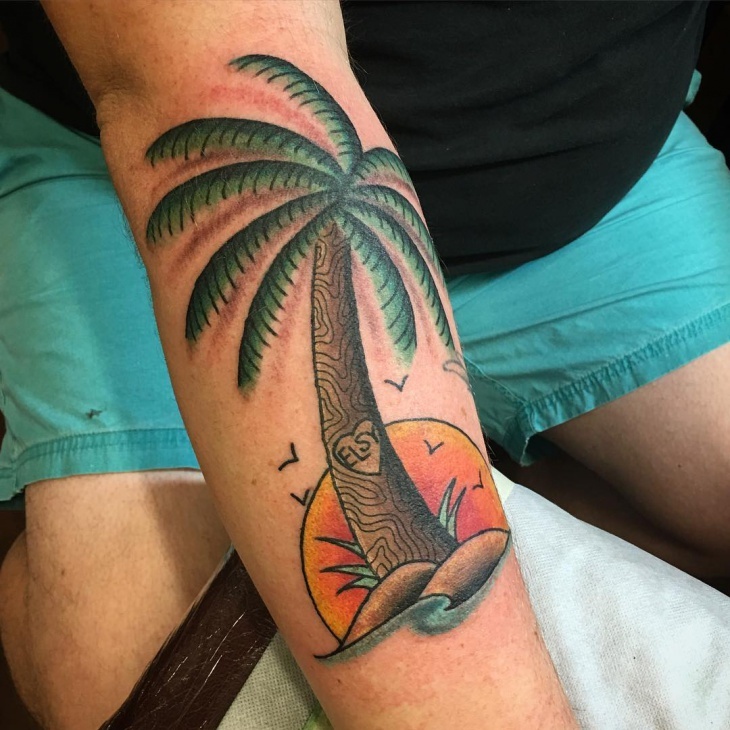 Different parts of this tree also give a unique meaning that favors all gender; while the size makes it perfect for a sleeve tattoo. 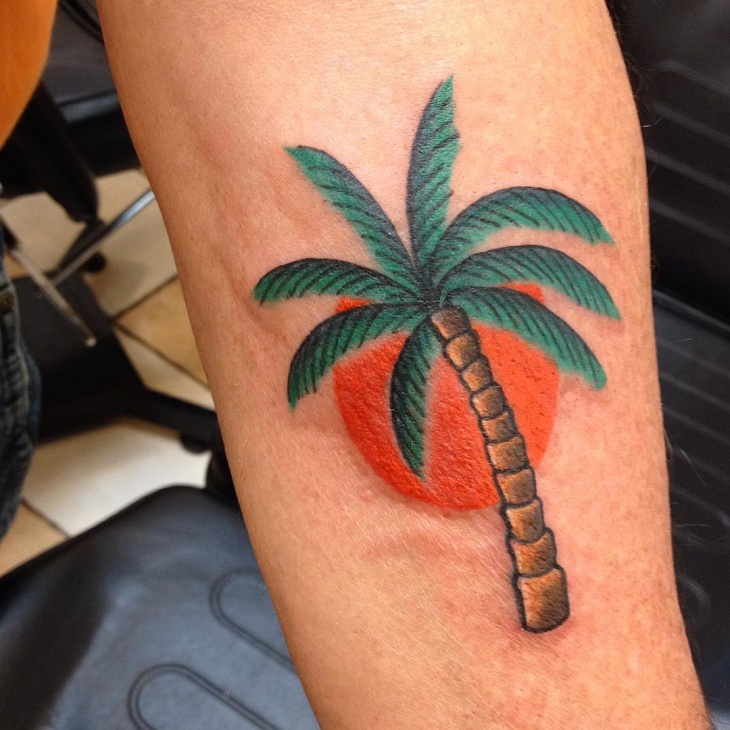 So, whether you want to portray honor or fertility, there’s a palm tree tattoo that will suit you. 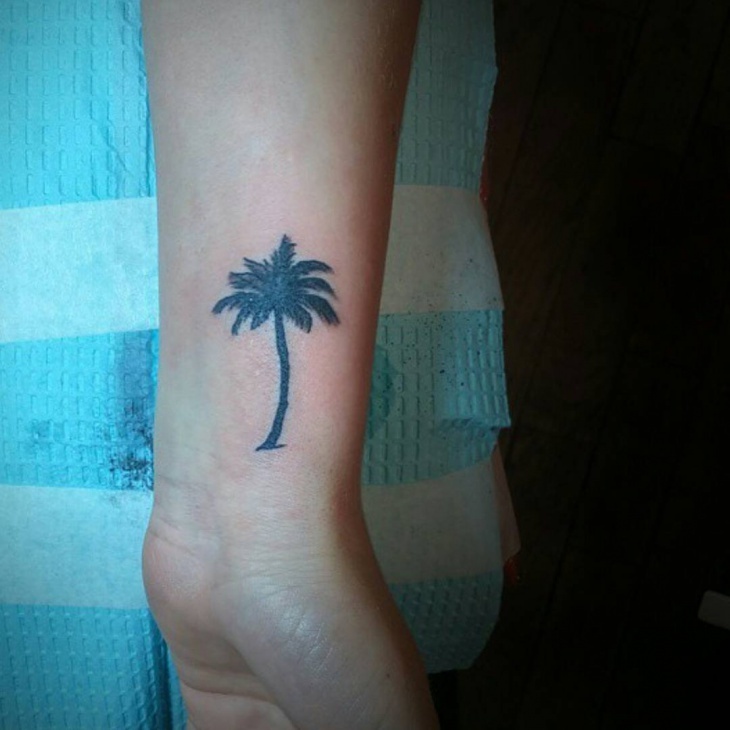 This traditional palm tree tattoo with a sun symbol will remind you of a sunny vacation. 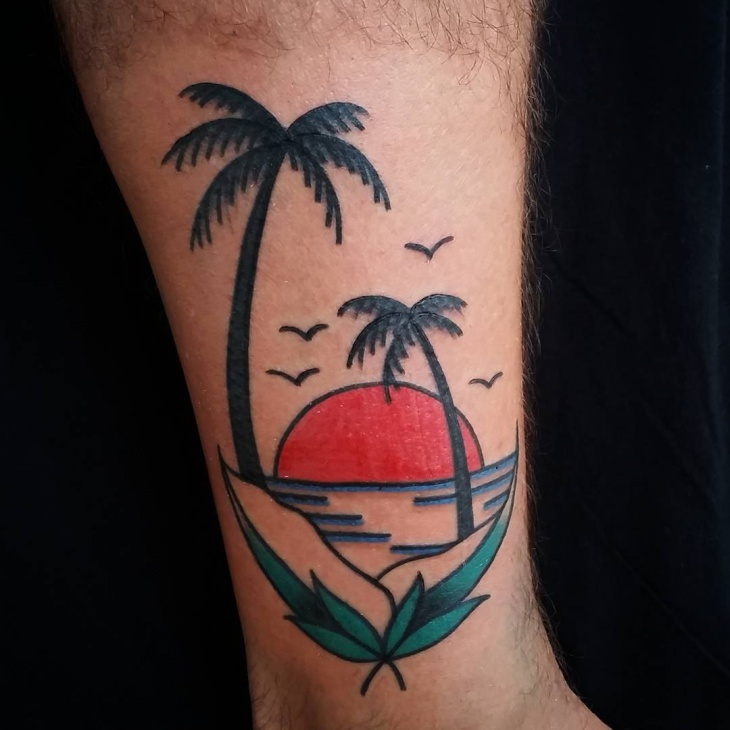 So, get yourself this tattoo, head to the beach and enjoy that sunset. 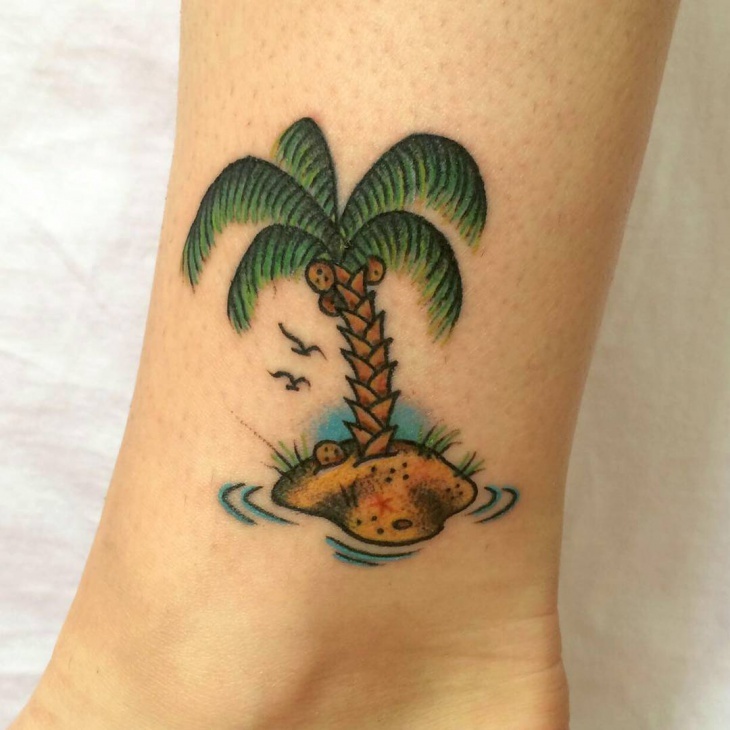 The miniature size of this tattoo makes it bold, cute and easy to replicate. 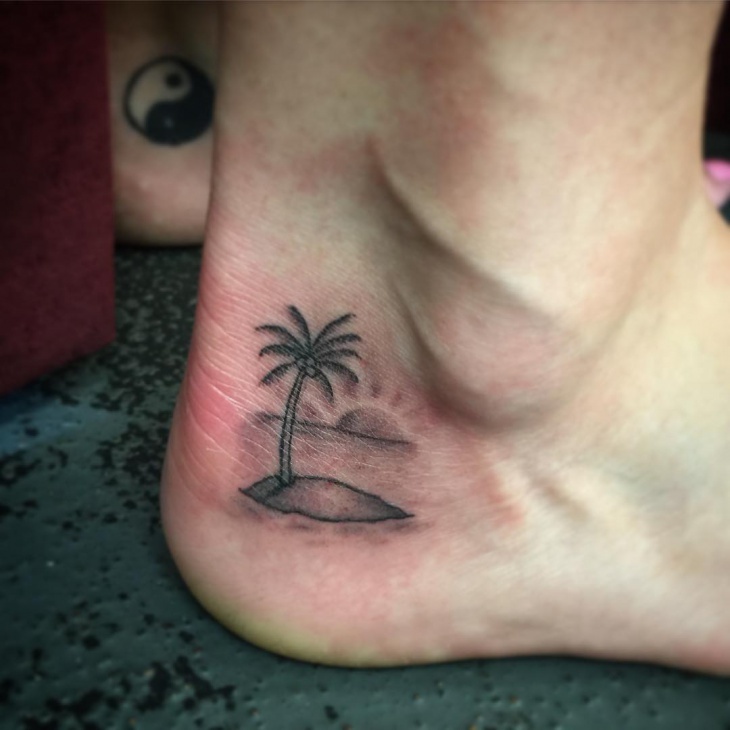 Both male and females will look good with a small palm tree ankle tattoo because the simplicity of the black and white design makes it inconspicuous. 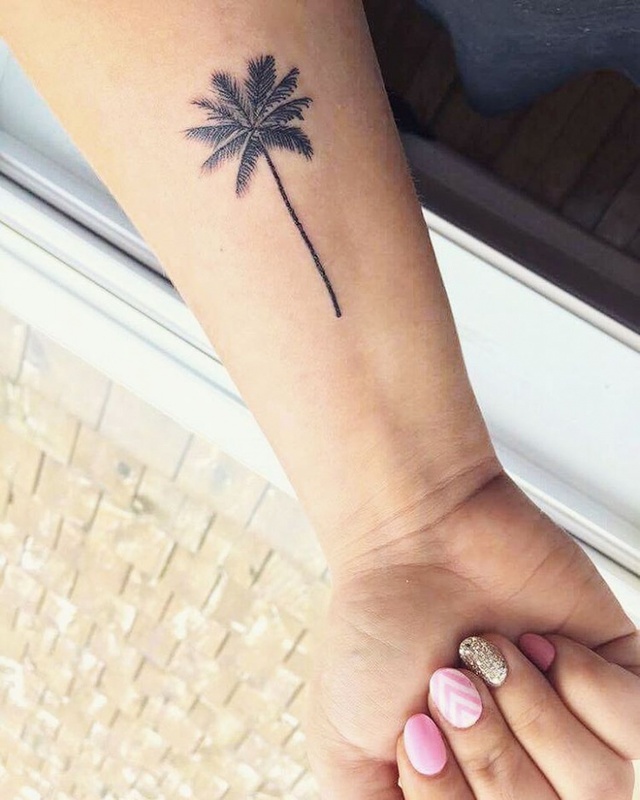 If simplicity is what you’re looking for in a tattoo, then this palm tree tattoo on the arm is for you. You can wear a t-shirt to show off the tattoo or wear a long sleeved shirt to cover it. 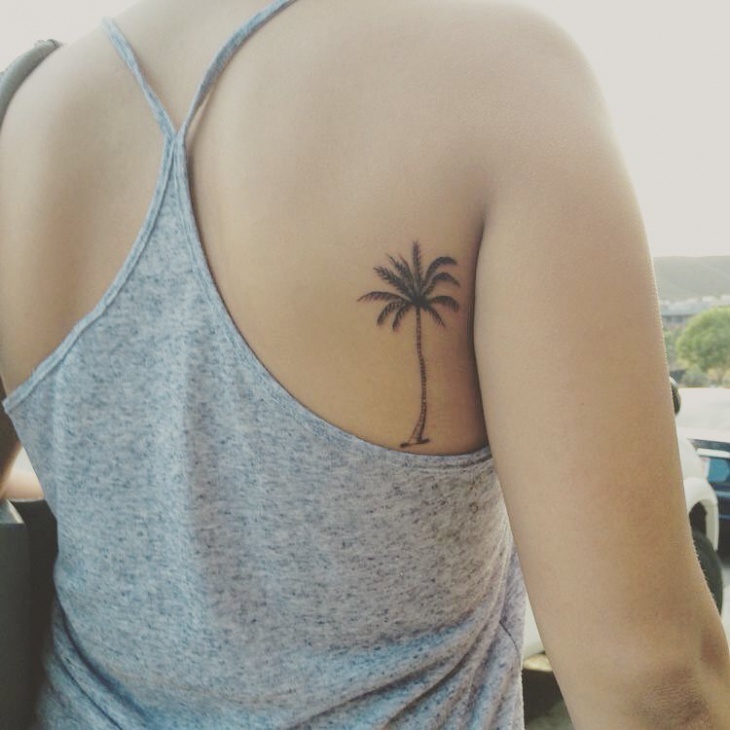 The elongated leaf design of the palm tree is a symbol of protection while the trunk portrays strength. Men will love this tattoo because the black design complements any skin tone and other body art. 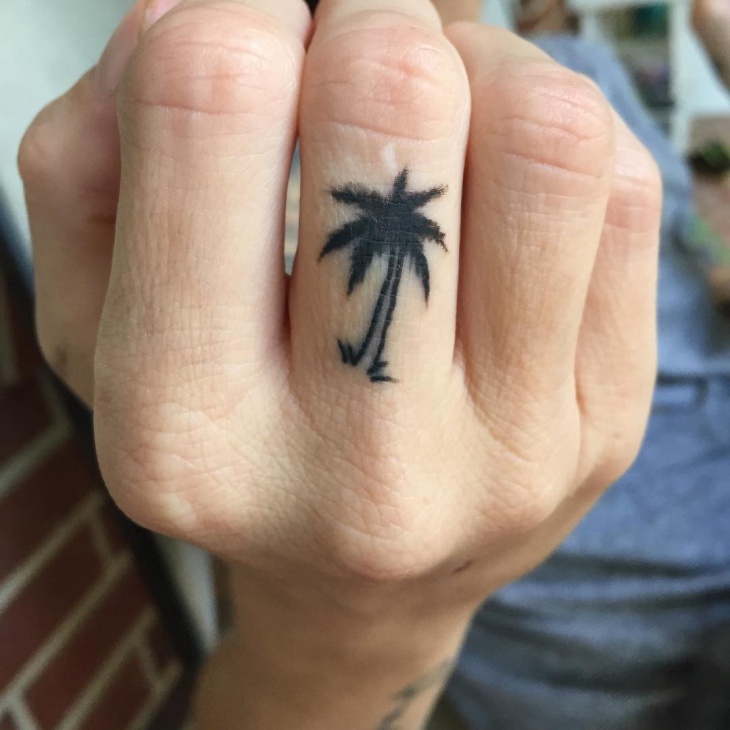 Men who don’t like wearing rings as an accessory can go for palm tree tattoo on the finger. The choice on which finger you want the design is up to you, either way, this design will complement any outfit. 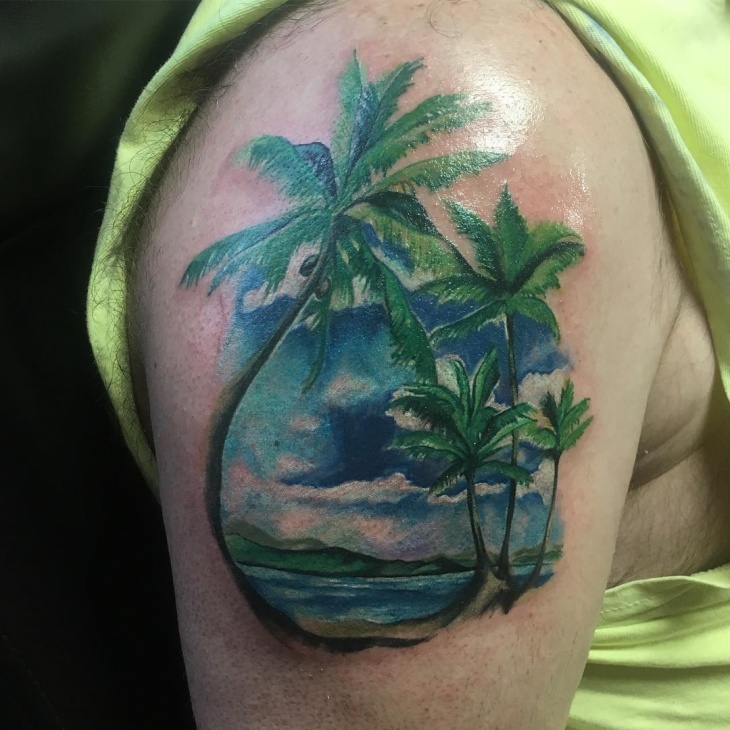 If you love creativity, then go for a palm tree island tattoo. 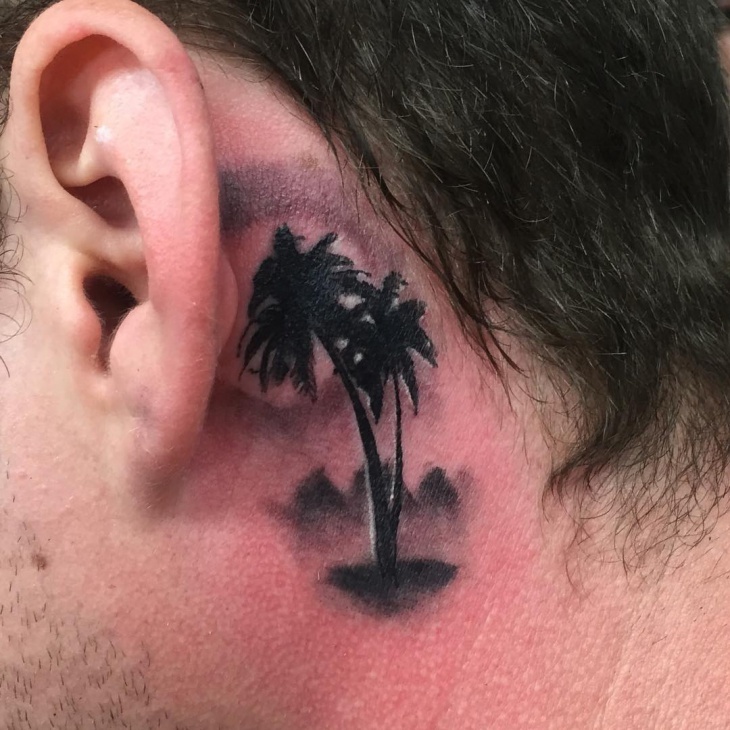 Instead of having one palm tree on the design you can add more than two trees, an ocean and hills to give the tattoo an authentic island effect. 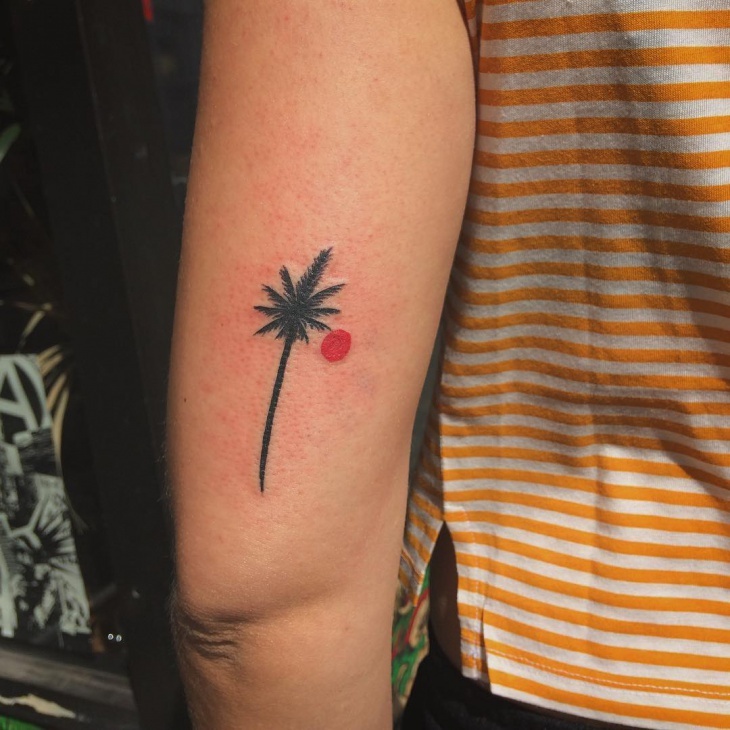 A single palm tree design on this tattoo makes it easier to ink. Opting for a black ink color only helps all parts of the tree to stand out. The simplicity of this back tattoo makes it perfect for ladies. 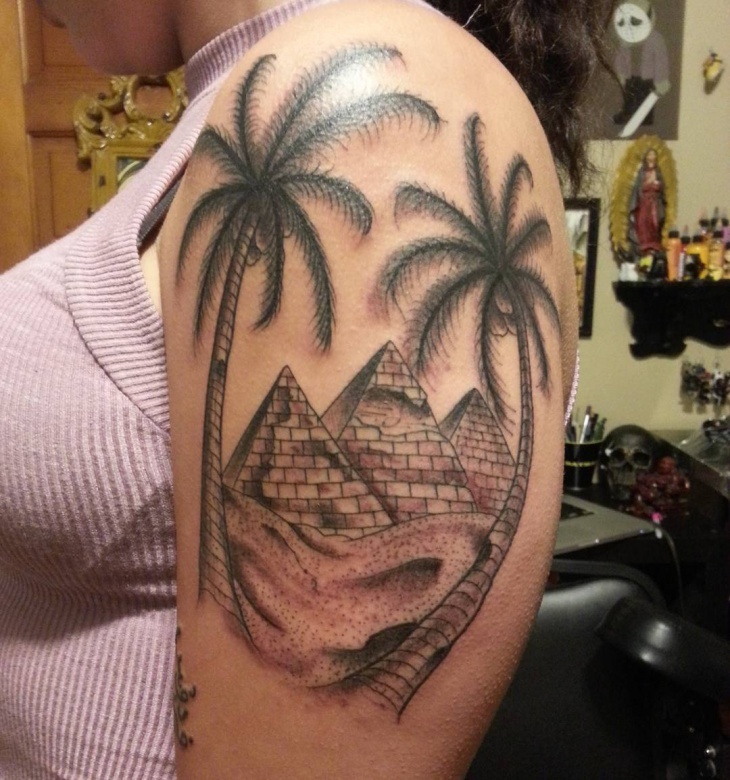 This tattoo represents the cool and calming scenery that is usually present in a beach scene. Adding birds flying during a sunset theme gives the tattoo a unique design that will give you compliments from other ink lovers. 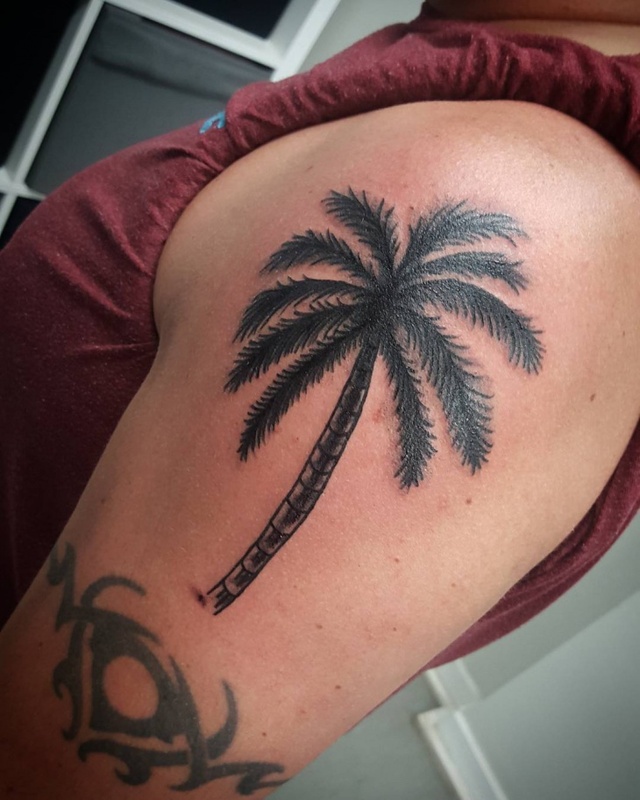 What’s unique about a black and white palm tree tattoo is that you can add other elements around the design to give it a personal touch. You can add an autism tattoo to promote awareness or to show your support. 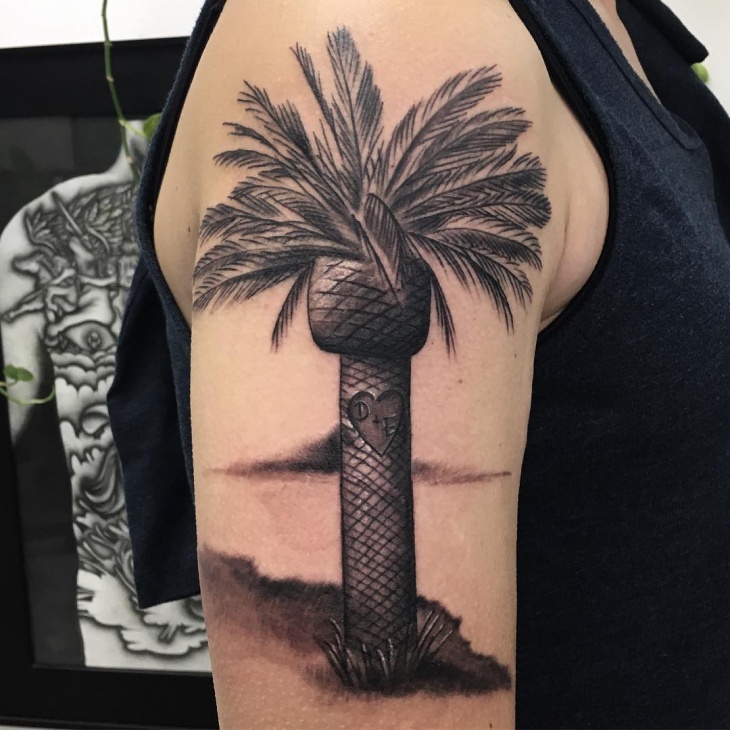 Go for a very dark shading to create a unique palm tree tattoo. 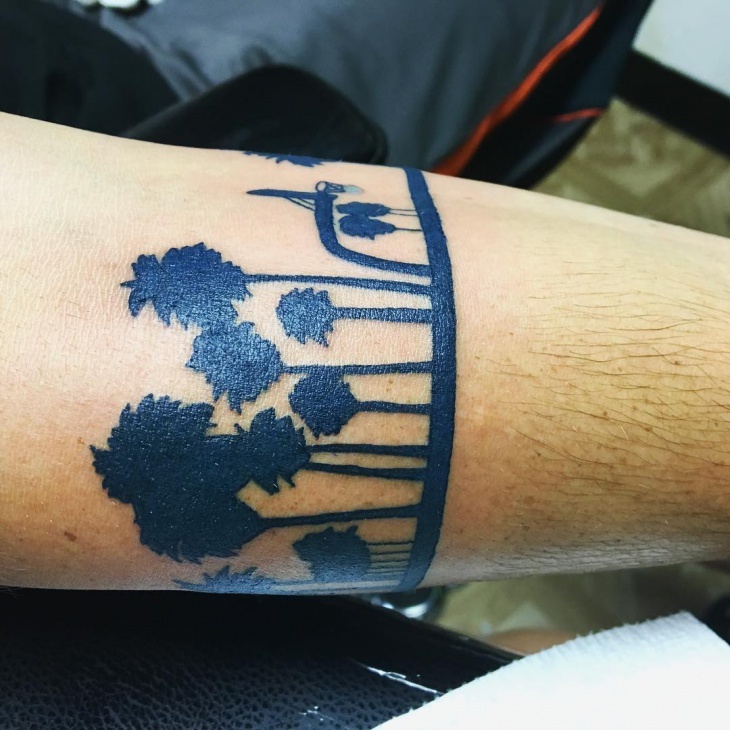 To the replicate this design, a tattoo artist has to make the palm tree trunk slightly bent and shade even the leaves black to express your gothic style. 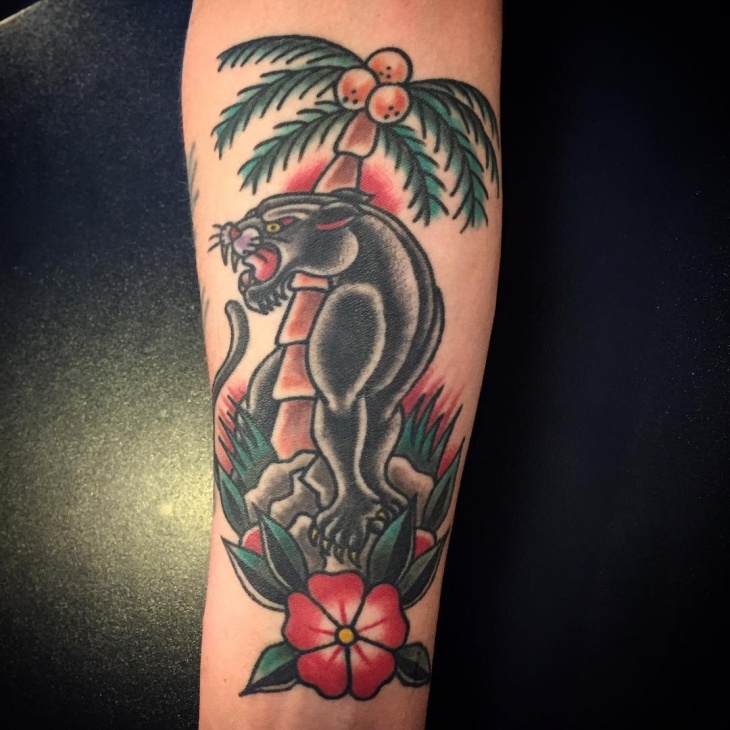 While a tattoo artist knows more about palm tree tattoo designs, ultimately you should go for what you want. A good tattoo artist should tell you clearly about aftercare instructions and should wear new gloves during the procedure. 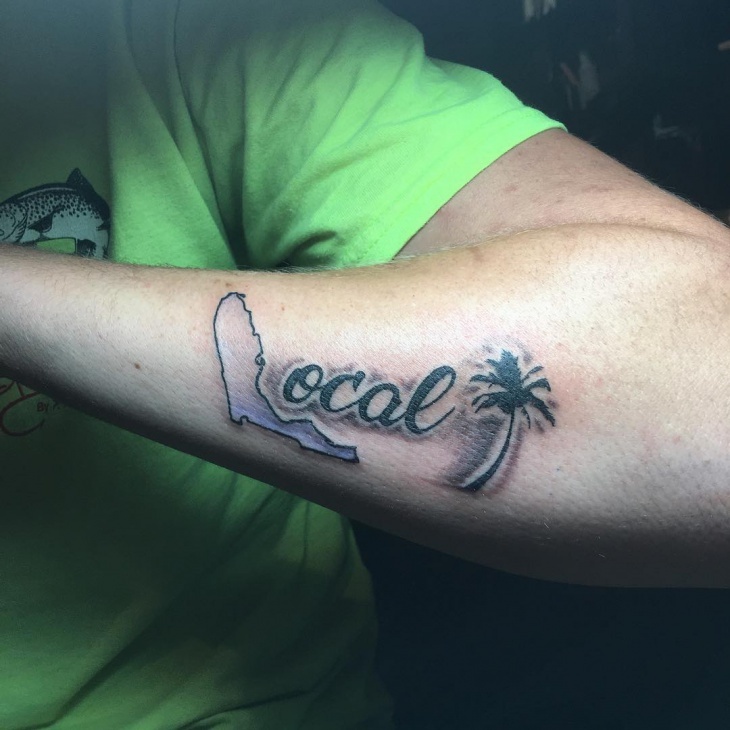 Since the design of a tattoo is a reflection of your personality, culture or religion ensure that your favorite symbol is an accurate representation of you. 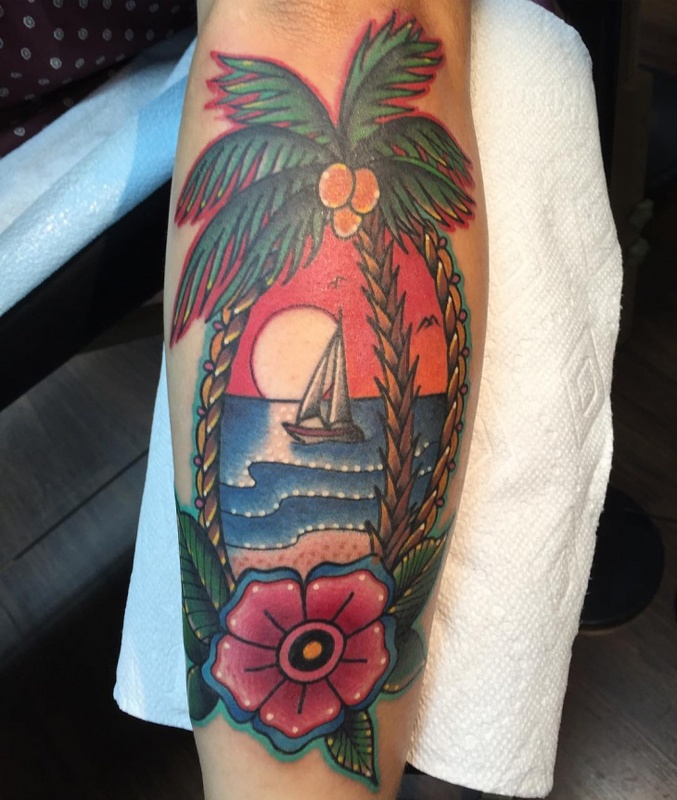 If you need to symbolize the sun, then go for a palm tree tattoo or a Polynesian tattoo.